A university lecturer has written a book looking at the history of the iconic Second World War ‘Keep Calm and Carry On’ poster. Dr Bex Lewis examines the truth and history behind the well-known poster including how it was designed months before the Second World War began. It is a nostalgic lookback at the original use of the poster: how it came about, its design, why it has resonated so widely with the public. Originally it was used to boost morale, with the poster used as a huge part of the British governments drive to prepare people for the prospect of war to bear the sacrifice and burden required of them. Along with the ‘Your Courage’ and ‘Freedom is in Peril’ the poster was produced as part of a series known as the ‘red posters’, despite the fact that they also came in green and blue. Although the phrase ‘Keep Calm and Carry On’ is now ingrained in public consciousness, the poster was originally meant to read ‘Keep Calm. Do Not Panic’, intended to allay fears in the event of a German invasion. 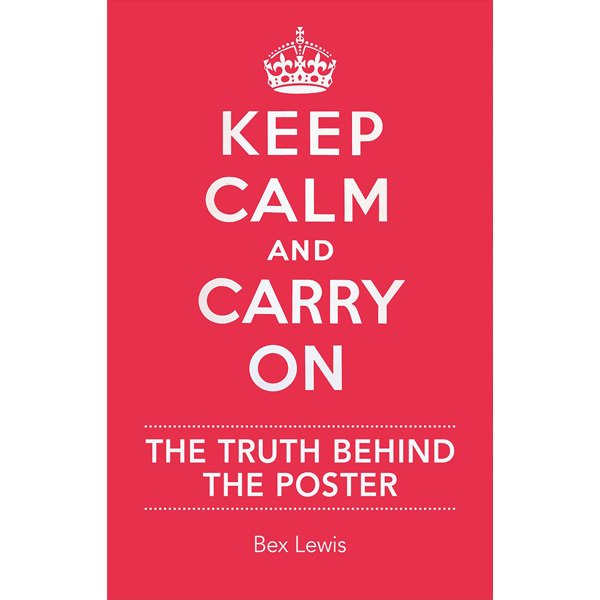 Keep Calm and Carry On: The Truth Behind the Poster is published by IWM this month.